A group of seventh graders from Sandia Preparatory School in Albuquerque made the discovery of a lifetime on a field trip to the El Malpais National Conservation Area near Grants, New Mexico. They were exploring the lava tube caves as part of the school’s Outdoor Leadership Program when students spotted a pot underneath a pile of rocks. They didn’t touch it or disturb it, but they could see that it was a cream-colored pot with a complex pattern of black zigzags and dashes all around. 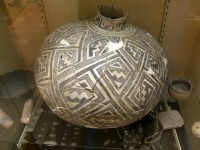 One of the parents was knowledgeable about the laws regarding Native American artifacts, so the group left the pot in place and reported it to the U.S. National Park Service who in turn alerted the New Mexico Bureau of Land Management which protects and manages the 13 million acre conservation zone. BLM archaeologists removed the pot this week. It is 18 inches high and 14 to 16 inches wide, and was discovered almost intact. 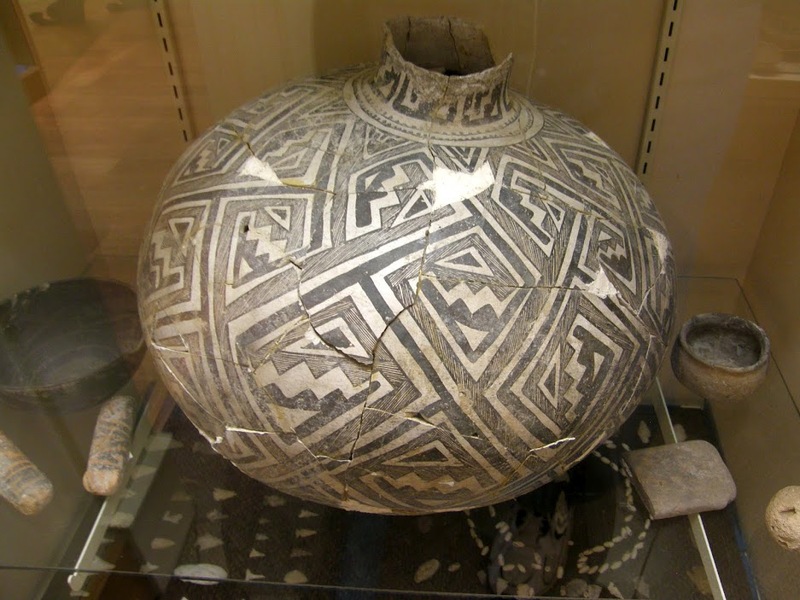 Because of this stroke of good luck, archaeologists were able to determine from its size, shape and decoration that the pot is between 800 and 1,000 years old, possibly the work of the Mogollon culture which inhabited the area from 150 to 1400 A.D. It is a major find and the first significant piece discovered on New Mexico Bureau of Land Management land in ten years. Donna Hummel of the BLM said the find could be unique and the students may not fully understand its importance. “This is very significant. We hope they appreciate that this could be a once in a lifetime discovery,” said Humme. When told that the pot could be around 900-years-old, students expressed amazement. “That’s crazy. I think we were probably some of the first people to see so that’s really cool,” seventh-grader Cole Schoepke said. The Bureau has yet to release any photographs of the pot because they want to consult with the surrounding pueblos first, but there’s a charming interview with some of the students who made the discovery in this TV news story.